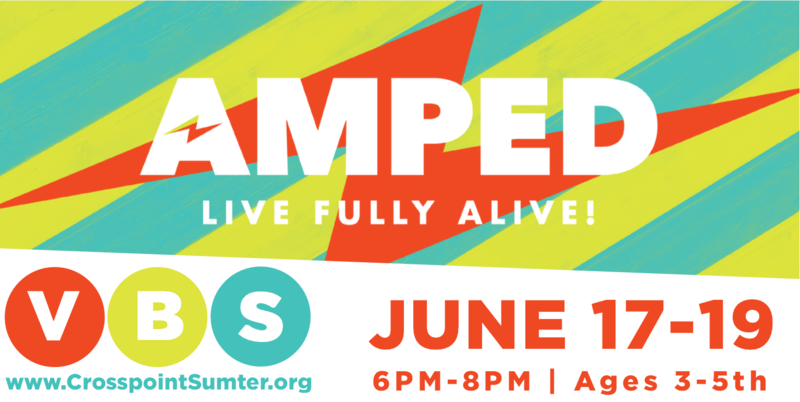 Amped music, awesome games, fun VBS crafts, authentic worship, and engaging messages will have you looking forward to every day of our AMPED VBS 2019! You only get one shot at life. Are you ready to make the most of it? Are you ready to make it count? Are you ready to get AMPED? Jump into the BEST WEEK EVER with AMPED VBS! Register online today! Families should fill out one form for all their children ages 1 yrs to 6th grade. I understand that Crosspoint Baptist Church regularly photographs, videotapes, or records by other visual or sound recording devices during our worship services, small groups and other church-sponsored activities, events, retreats and trips. In consideration for allowing my child to participate in said activities, events, retreats and trips, I consent to my child’s photograph, likeness or image being used by Crosspoint Baptist Church in video presentations, publications, promotions, on their web site, social media site, or in any other lawful manner.